16) Server.War2.ru / Re: Warcraft 2 game saves? 17) Flame Wars & Offtopic / Re: Re: ? 19) Server.War2.ru / Re: Should I play Warcraft 2 in CRT monitor? 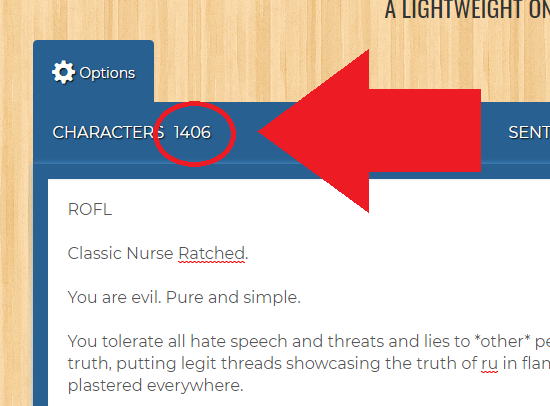 20) Flame Wars & Offtopic / Re: Re: ? 21) Flame Wars & Offtopic / Re: Due to TK's special request, A NEW THREAD! A lot of people said he went back and abused the old kali ladders once no one played there anymore. Which is pathetic. But you have to admire his drive. 27) Support Requests / Re: streaming problems..
28) Support Requests / Re: streaming problems..
oof i see what you mean, i watched some of a recent broadcast & that stream lag is brutal. i had the same kind of lag on mine & was able to mostly resolve it by changing a bunch of settings. so i set war2obs up ... set it to 30fps.. but fois[as] said he was watching the stream and it said 60 fps.. what gives? how was fois measuring it? 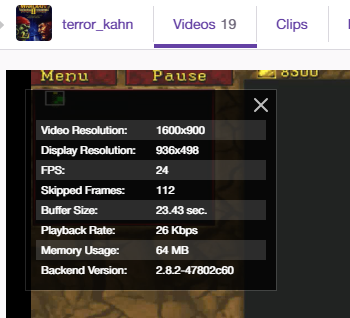 your broadcast from 2 days ago shows 20-30 fps in the video stats which matches a 30 fps setting in OBS. in that replay you're averaging low-to-mid 20s fps & sometime dropping lower which explains the lag. my stream had similar low fps spikes & after i changed settings it stays pretty consistently at 30 fps or slightly above & the lag improved. 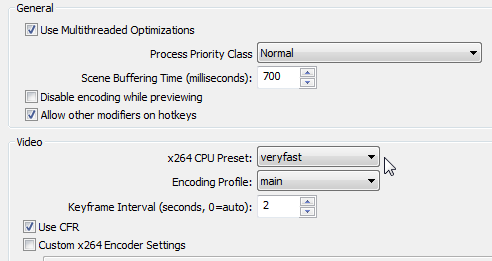 - process priority class "normal", x264 preset "veryfast", keyframe interval "2" in "Advanced settings"
30) Server.War2.ru / Re: Anyone good still play?